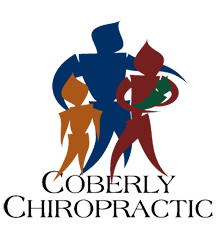 Five Benefits to Walking for Chiropractic Patients – Coberly Chiropractic, Inc. The American Chiropractic Association (ACA) recommends walking to help relieve back pain. It is a low impact exercise and very gentle on the back, burning around 265 calories in 30 minutes. You should avoid walking on uneven terrain or concrete to keep it low impact and avoid injury. Exercise also releases pain relieving endorphins in addition to aiding in other conditions that can relieve pain which includes improving flexibility and mobility, helps rehydrate spinal discs, increases circulation, and aids in weight loss and weight management. Walking increases circulation throughout your body, including your spine. This ensures that you have a continual flow of blood to the muscles and nutrients to the spine. Soft tissues are nourished and enriched while harmful toxins are drained away. Walking is integral for spinal health. It increases circulation which, in turn, lowers blood pressure. This helps bring the body into balance and increases your stamina. As blood is moved through your body it nourishes all of your muscles, making you stronger and making it easier for you to exercise. Basically, the more you walk, the more you are able to walk. As walking increases circulation, flexibility and mobility are enhanced. When combined with a regimen of light stretching, walking can increase flexibility and a better range of motion. This has the added benefits of reducing the risk of injury and improving posture. The ACA recommends a series of stretches combined with cardio, including walking, to help with back pain management and good spinal health. It is a very good accompaniment to chiropractic care and is an effective supporting activity which will help your treatment work even better. During the day movement causes compression of your spinal discs, squeezing out the water that fills the discs so they provide a cushion or your vertebrae. The increased circulation that comes from walking also helps to move vital water to the area. The discs absorb this water, rehydrating them so they can continue to do their job as shock absorbers for the spinal column. This is also a great case for staying well hydrated by drinking lots of water not only while you walk, but also throughout the day. Extra body weight can cause significant stress on the spine. Abdominal fat can create excess weight in the front, causing a swayback effect in the spine. This puts pressure on the lower back, resulting in pain in that area. The spine is part of the body’s core and the muscles that surround the spine aid in balance and movement. When excess weight is present those muscles become strained as they must work harder to maintain balance. Walking helps with weight management and weight loss eliminating or reducing the effects of excessive weight. Walking benefits your whole body. It reduces your risk of heart disease, improves blood sugar and blood pressure, reduces your risk of osteoporosis, helps you maintain body weight, improves your mental health, and can even reduce your risk of certain cancers. With your spine at the core of your body, good spinal health plays a part in every one of these conditions. 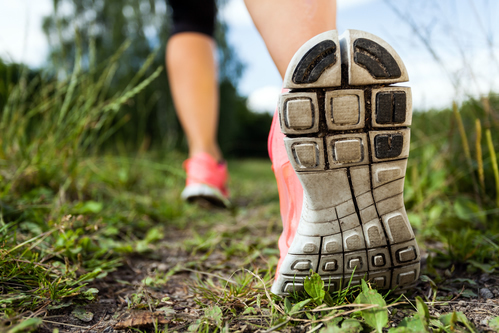 By combining walking with chiropractic care, you are giving your body its best chance at good health and optimal function.